Meeting of the Secretary of State for Universities, R + D + I with the NETWORK CEI AA of the Triptolemos Foundation. On Tuesday, November 7, 2018, the President of the Network of Campus of International Excellence with agri-food activity and the Director of the Triptolemos Foundation met in Madrid with the Secretary of State for Universities, Research, Development and Innovation. The CEIs are the result of the aggregation between institutions, and are a key tool of interconnection between the University and the sector, the Administration and Society in general, to position Spanish universities strategically in an increasingly globalized world. The CEIs need to be supported so that they can satisfactorily fulfill their objectives, which will have benefits for the university, the sector and society. Objectives that are in accordance with the internationalization strategy of Spanish universities, and already developed in other countries such as France, Germany or the United States. 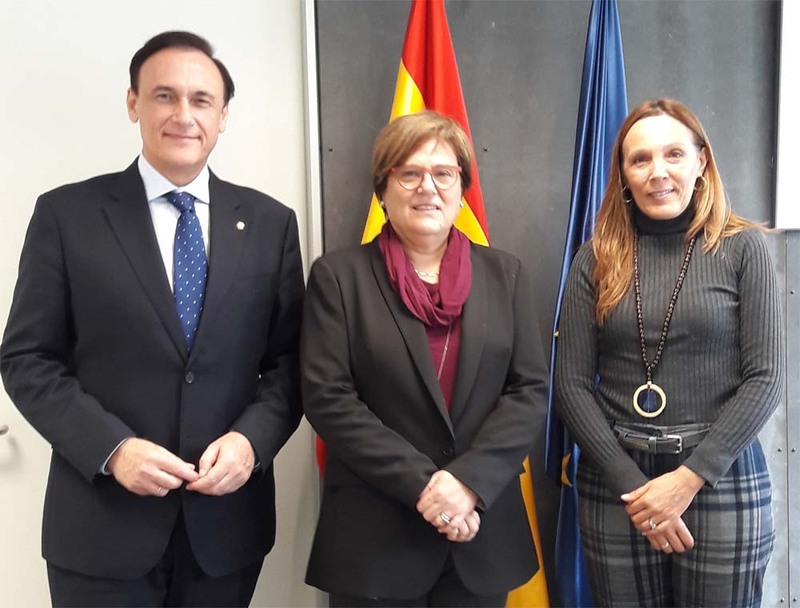 Photo from left to right: Mr. José Carlos G. Villamandos, rector of the University of Córdoba, President of the Network of Campus of International Excellence with agrifood activity of the Triptolemos Foundation and the Ceia3, Ms. Mª Ángeles Heras, Secretary of State for University Research, Development and Innovation and Ms. Yvonne Colomer Executive Director of the Triptolemos Foundation. Triptolemos Foundation since 2002 contributes from its vision of the global food system, its optimization and articulation, and the RED CEIAA acts as a working group. The Spanish food sector is the first industrial sector in the country and contributes to the added value of the European agri-food sector with 11.4%, only behind France, Germany and Italy. The sector contributes 5.8% GDP of the Spanish economy, a percentage much higher than the average of the European Union, which stands at 3.6%. Specific requests were sent to the Secretariat such as the maintenance of the economic program to support the excellence of the CEIs, the improvement of the promotion and communication from the administration of the Agri-Food CEI NETWORK, and the joint organization of an international meeting was agreed for the next 2019.